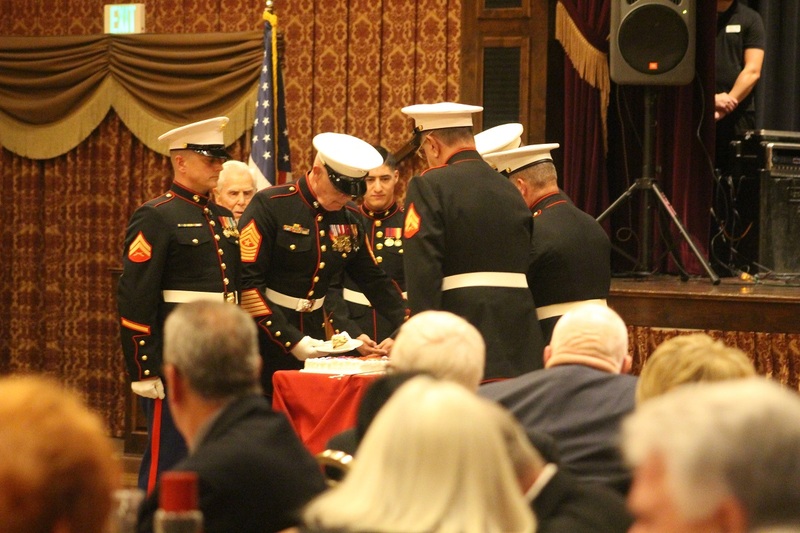 ST. GEORGE — Hundreds gathered at the SunRiver Ballroom Saturday for the 241st “Marine Corps Birthday Ball,” a tradition steeped in history that included a message that was read to all Marine commands throughout the world. 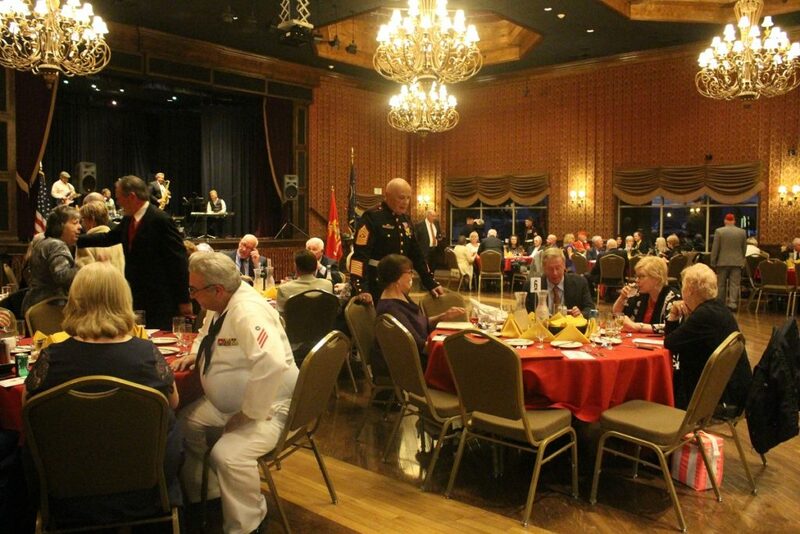 This is the ninth year organizers in St. George have held the Marine Corps Birthday Ball. 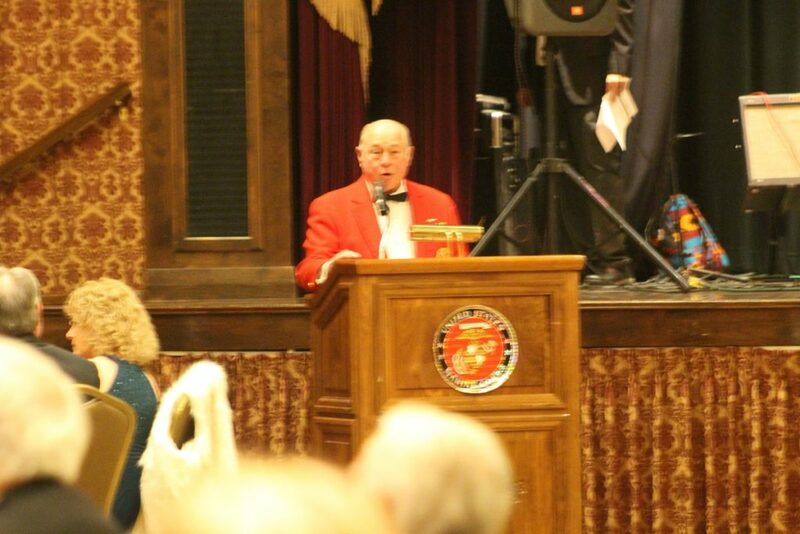 The event recognizes the day the resolution officially forming the Continental Marines was approved in Philadelphia, Pennsylvania, in 1775. The first recorded Birthday Ball was held in 1925 in Philadelphia. The evening’s festivities started off with the reading of the “Marine Corps Birthday Message” from the Commandant of the Marine Corps. 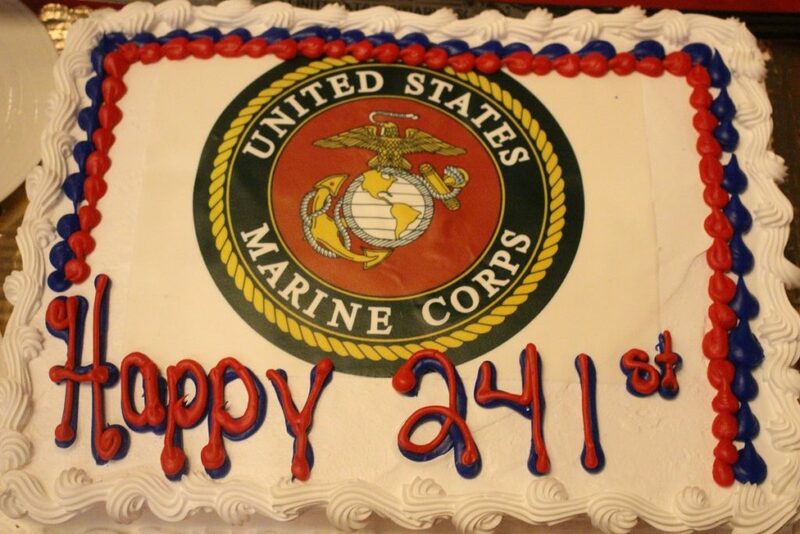 The Birthday Message originated in 1921 when the 13th Commandant of the Marine Corps, Maj. Gen. John A. Lejeune issued Marine Corps Order No. 47 summarizing the history, mission and traditions of the Marine Corps. This later became known as the Birthday Message and is read to all Marine commands throughout the world each year, just as it was in 1921. Waters read the ‘Birthday Message’ to an audience Saturday that included more than 100 Marines. Each year on or around 10 November, Marines gather in groups large and small to celebrate our history, honor the memory of those who have gone before us, and rekindle the bond that unites all generations of Marines. … We are Marines for life. It is our responsibility, our duty to maintain and to build upon the legacy of those who have gone before us. What we do today, guided by what we’ve learned from past generations will determine the future of our Corps. For the full message, click here. After the message was read, a video was shown that included several comments from Marine Corps Sgt. Maj. Ronald Green. 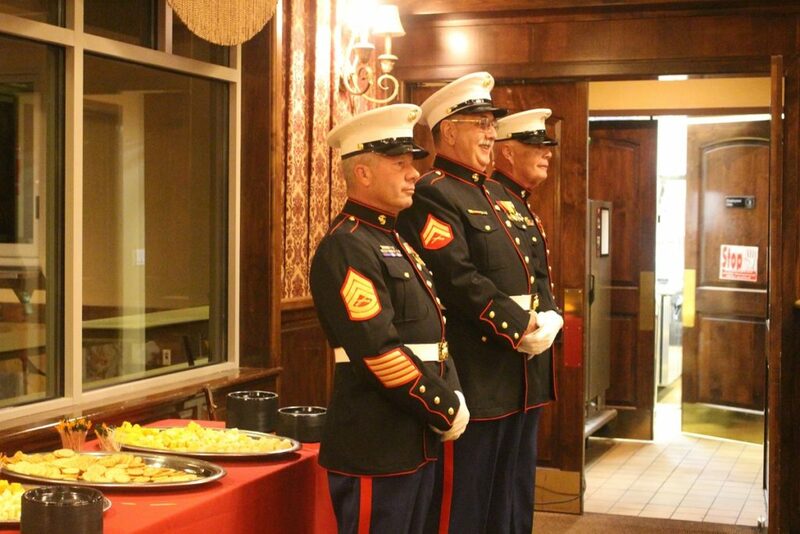 A cake ceremony is also an integral part of the Birthday Ball and includes a tradition of presenting the first piece of cake to the oldest Marine in attendance and then passed to the youngest Marine, representing the passing of tradition from one generation to another. 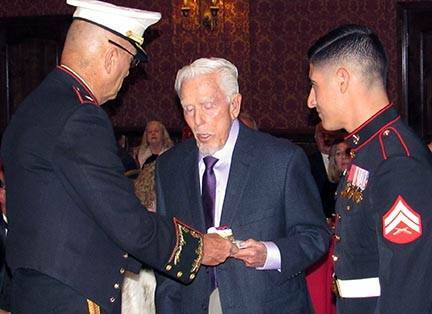 This year, Marine Dave Houston cut the cake, and the eldest attending Marine, 91-year-old Lafe Brown, passed his cake to the youngest attending Marine, Alejandro Flores, who took the first bite. 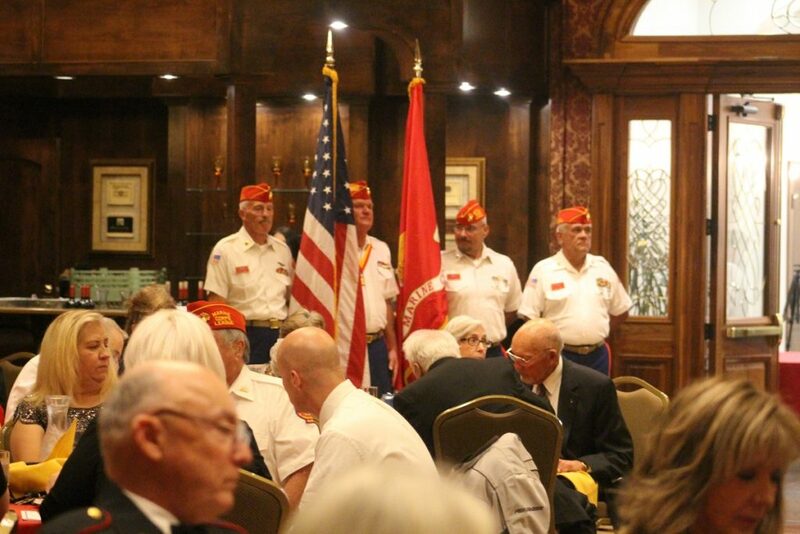 Several people were honored for the length and bravery of their service, as were those Marines who recently passed away.